Arsenal is third on the table with sixteen points from 7 games, one point below Tottenham and above on goal difference from Liverpool. On the other hand, we have Swansea C who is #17 in the table with four points from seven matches, two points below Middlesbrough and above on goal difference from West Ham United. S City needs those three points as they are very low in the standings. Arsenal has started well in the league as they are currently third on the table with 16 points from five wins, one draw, and one loss, scoring 12 goals and conceding three goals in total. Alexis Sanchez is their top scorer with four goals to his name, followed by Theo Walcott with three goals to his name. Alex Iwobi has three assists to his name with Alexis Sanchez and Theo Walcott having two assists as well. Arsenal are in a superb form as of now with five wins from their last five games in the league. They won against Watford by 1-3, against Southampton by 2-1, against Hull City by 1-4, against Chelsea by 0-3 and against Burnley by 0-1. They played against Burnley on the seventh matchday and won the game by 0-1 away from home. 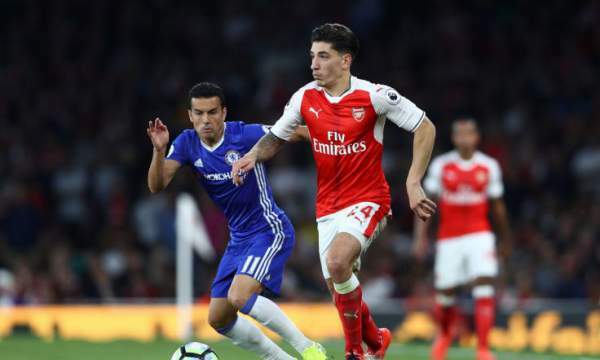 The game was locked at 0-0 till the 90th minute and then finally in the 93rd minute as Koscielny scored from Sanchez’s cross to make it 0-1. Swansea C is 17th on the table with just four points from seven games they have played, they have won one game, drew one and lost five games, scoring six goals and conceding 12 goals in total. They have lost four games and drew one in their last five games in the league. They lost to Leicester City by 2-1, against Southampton by 1-0, against Manchester City by 1-3 and against Liverpool by 1-2. They played against Liverpool on the seventh match day and lost the game by 1-2. Leroy Fer gave the lead to S City in the 8th minute and then Liverpool scored two in the 54th and the 84th minute to make it 1-2 and win the match. Cech, Mustafi, Bellerin, Monreal, Koscielny, Xhaka, Iwobi, Cazorla, Walcott, Ozil, Sanchez. Fabianski, Amat, Rangel, Hoorn, Naughton, Britton, Fer, Cork, Baston, Routledge, Sigurdsson. Arsenal is in a terrific form right now and can win this one with ease.